Slough is perhaps better recognised as the home of Ricky Gervais and Stephen Merchant's UK TV series, The Office. If that doesn't jog your memory then John Betjeman's famous poem mocking the Berkshire town is sure to. 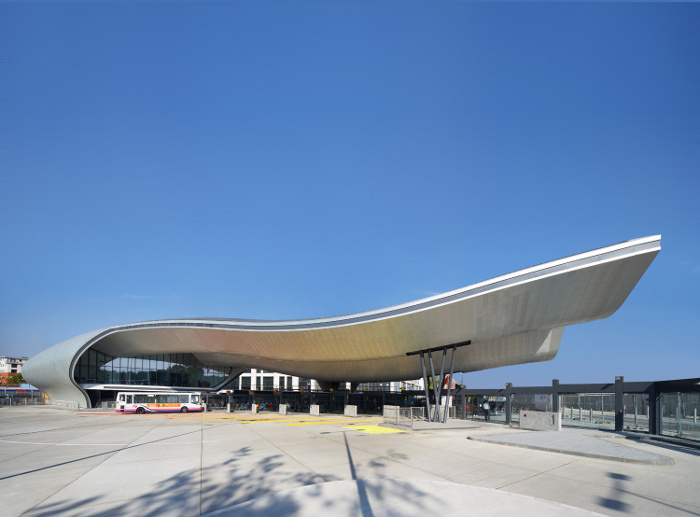 Nonetheless, it does in fact; also hold quite an impressive bus station, which it can now boast has made it into the world's best designed bus stations for the second year running. Bblur Architecture of London created the shelter as tribute to local astronomer William Herschel, who discovered infrared waves in 1800, designing a rippling structure to reflect light's different wavelengths. 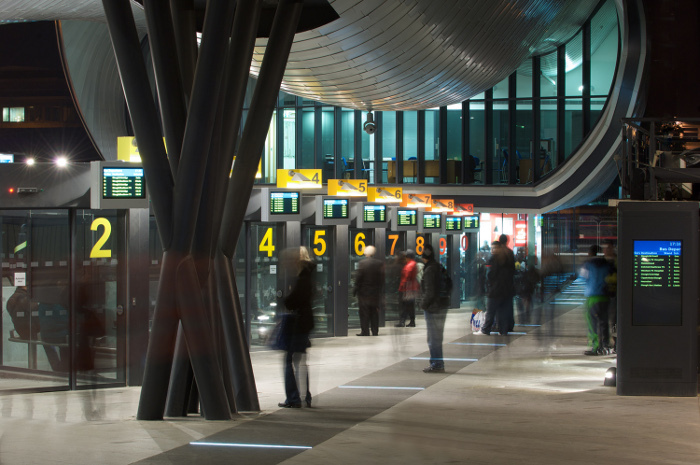 An aluminium canopy spanning 130m flows down and at one end features a bold shimmering building that holds an area for the ticket office, driver facilities, newsagent, cafe, waiting room and toilets. 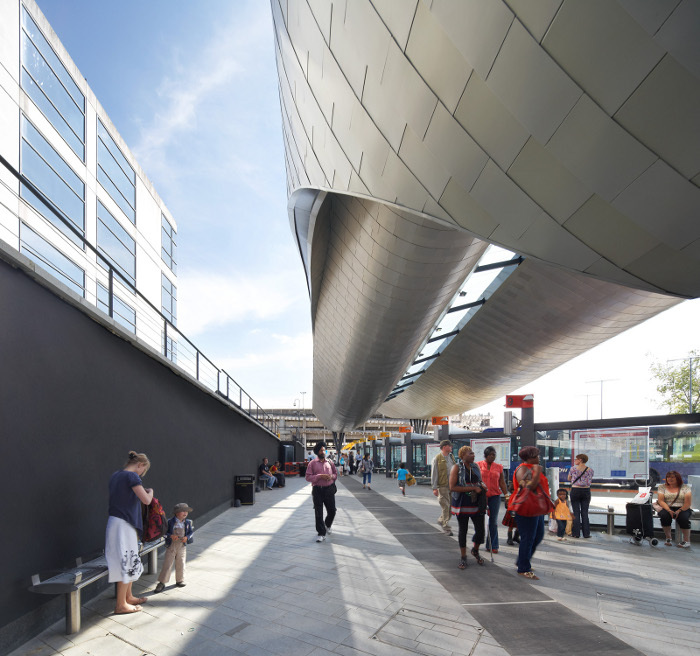 Pedestrians can also enjoy a sheltered walk when traveling from the town centre and railway station as the curved structure covers a walkway. 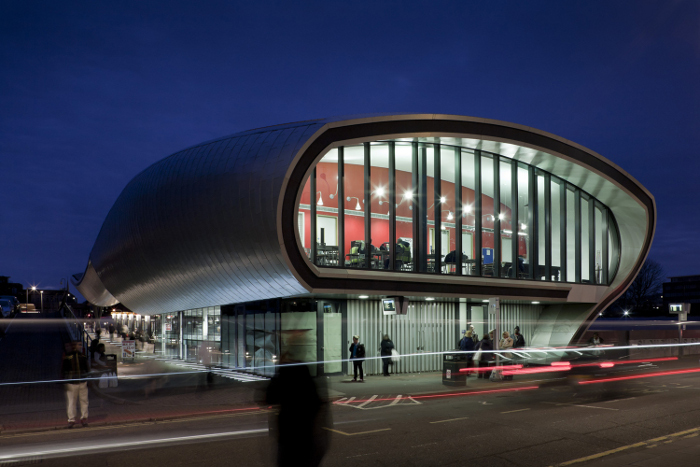 With a smooth, gleaming façade, the building is continuously changing in appearance from the varied light conditions.